What are micro tasks? They are sites that you can register and sign up that will pay you to complete very short or mini jobs online. What kind of jobs does this include? This may involve but are not limited to browsing the Internet and comparing search results, visiting websites and giving your feedback, writing short articles, categorizing data and many other duties. What I like about these sites is that almost anyone can participate in them and you will receive your money after you have completed your task or assignment. They also do not require a background check, interview and some companies will even allow you to start working shortly after you sign up so that you can start making money right away. These micro tasks are open worldwide and are great for those who have limited work history, no experience or just need some extra cash. They are open worldwide and will give you the option to work as much or as little as you want anytime of the day or night. Here are a few sites that have micro tasks that you can sign up with below. Micro Toilers – This company accepts international workers to complete simple tasks like downloading apps, sharing links on Facebook, Twitter and many other tasks. Pays through your PayPal account. Clickworker – Earn extra cash writing, translating, doing research, collecting data and much more. Weekly pay via PayPal. Please read this guide on how to do the UHRS tasks on Clickworker if you need more information. 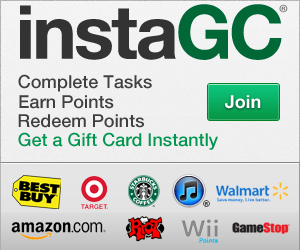 InstaGC – Get instant gift cards or cash to listen to music, watch videos, search the web and so much more! You can also opt to get a check in the mail or direct deposit. Open in several countries. Must be 13. Slicethepie – Get paid up to $0.25 for every song you listen to and write a short, detailed review. Pays twice a week via PayPal. Please read this post or watch this video for more information on how to use this site. ​Music Xray – Get paid $0.10 to listen to music for just 30 seconds. Postloop – Earn cash daily to post on various forums and comment on blogs. TheforumWheel – Another site that will pay you cash to post on forums. Qmee – Install this free browser and earn cash when you search the Internet. CashCrate – Get paid cash to take daily surveys, browse the Internet, play games, watch videos and more. Must be 13. Can receive your money via check in the mail, PayPal cash ,direct deposit or Dwolla. Whatusersdo – Visit various websites and give your feedback. Perk – App that will pay you to search, watch videos, movie trailers and more! Checkout51 – Smartphone app that will give you cash back on your groceries. Open to those in Canada. Chat About – Get paid to chat, write a post, comment, take daily polls, complete surveys, etc. Open to those in the UK, Australia and Canada. Swagbucks – Get paid to watch videos, clip coupons, shop, complete surveys, participate in daily polls and more. Open to those in the UK, Canada, Australia and Ireland. Clixsense – Make money taking online surveys, watch videos, clicking to visit various websites and much more. Also open worldwide.